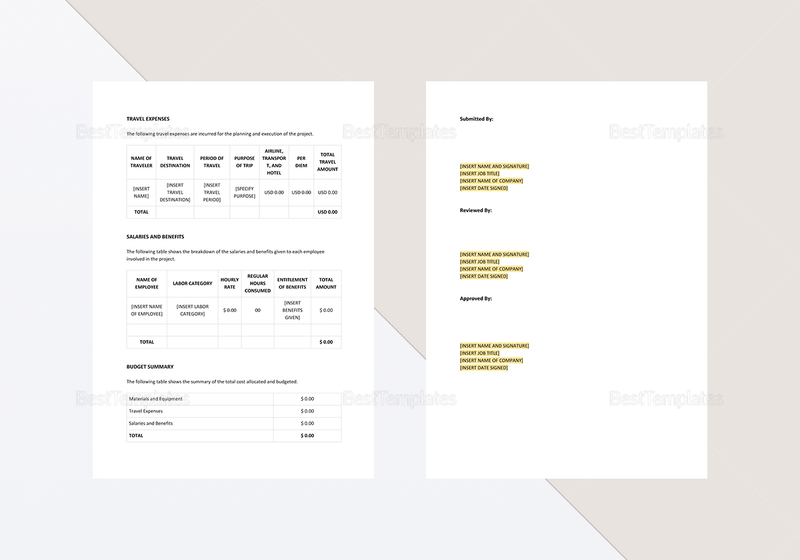 Get funding for your business using this Business Budget Proposal Template in A4 and US letter sizes. 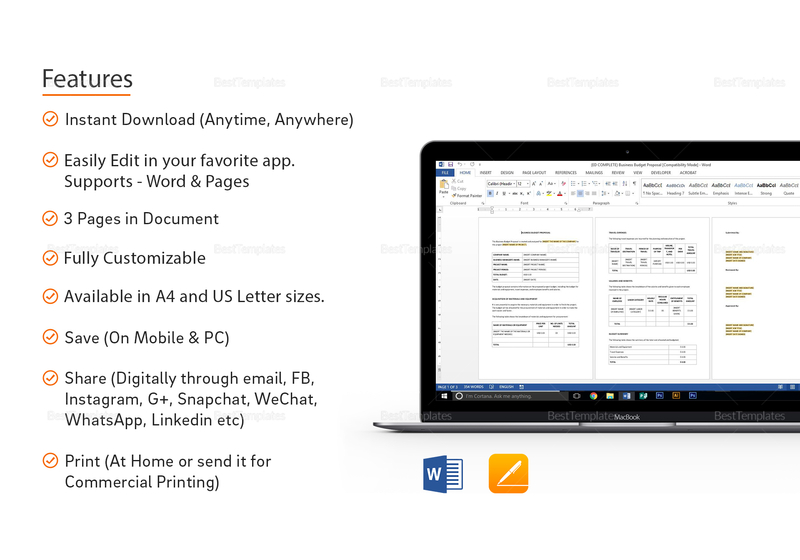 Use MS Word or Pages to edit this 3-page, fully customizable document. Simply replace the highlighted text with your information and your proposal is done. 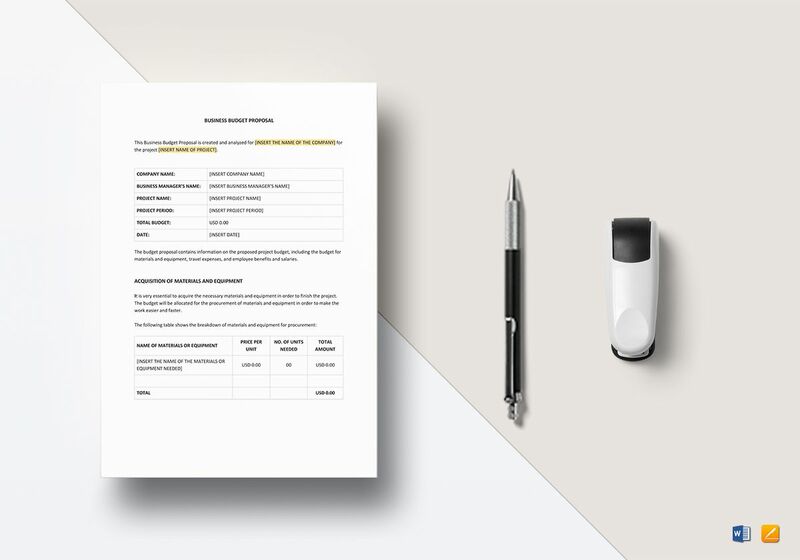 Print at the comfort of your own house or send out for commercial printing. Send via electronic mail or through normal conventional means.